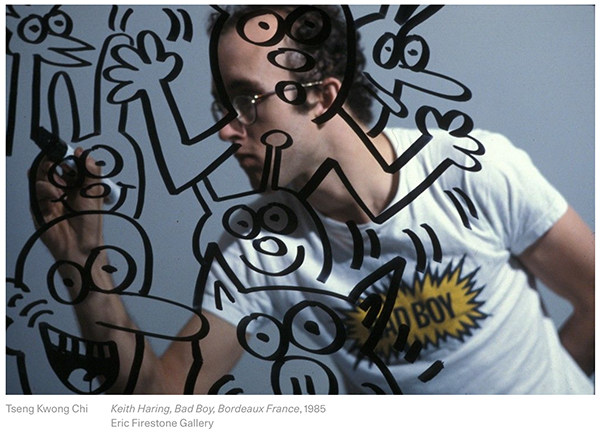 Keith Haring’s ebullient figures—the babies, the dancers, the dogs—may have been born in New York City’s subway stations in the early 1980s, but they certainly didn’t stay there. Over the span of a single decade, the American painter rocketed into the international spotlight. His distinctive style, incorporating elements of “low-brow” culture such as comics and graffiti, infiltrated the worlds of fine art, advertising, and fashion all at once. For that, he was sometimes derided as a sellout—an artist whose work was too commercial to be taken seriously. But his journals reveal a young man thinking deeply about his role as both an artist and a public figure. Haring was 18 years old when he penned his first entry, then a high school graduate preparing to hitchhike to Minnesota to see the Grateful Dead. He continued to keep records of his thoughts and his itineraries, often written during international plane flights—rare breaks in his increasingly frenetic schedule. His final entry, from Milan, is dated September 22, 1989, five months before he died of AIDS-related complications, at age 31. 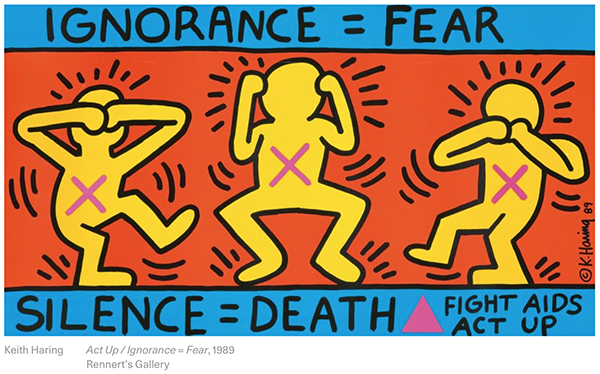 Below, we highlight some takeaways from Haring’s writings. The film, along with the writings of artist Jean Dubuffet, were two of Haring’s earliest influences. “The thing I responded to most was their belief that art could reach all kinds of people, as opposed to the traditional view, which has art as this elitist thing,” he told Rolling Stone in 1989. According to Haring, the best art is made in just one sitting. “To paint differently every day makes it impossible to paint a consistent composition over the period of more than one session,” he wrote. “It is done, but not without pain, needless changes, de-evolution, false repetition (duplication), over-working, collage (piling ideas on top of each other and calling them a ‘whole’), etc. Pure art exists only on the level of instant response to pure life.” That’s not to dismiss the quality of historical paintings created over the course of several months or years, he noted. But in the midst of the computer age, art has evolved. “A modern artist has to produce images quickly and efficiently enough to keep up with our changing world,” he continued. Yet, he cautioned, don’t become an automaton. “The elements of chance, and magic, and spirit cannot be sacrificed in this quest” for efficiency, he said. Everything Haring made, he considered a work in progress. “The paintings are not final statements,” he wrote. “They can be changed, reshaped, combined, destroyed.” In November 1978, Haring created a “painted environment” for the School of Visual Arts’s student gallery that involved altering—even destroying—older works for the sake of a new one. “If a piece is final, that implies that it is perfect, or the purest form attainable,” he explained. “I do not believe I am capable of imitating the perfection of nature.” That mindset, he believed, kept him moving forward in his practice. “Risks are what make the difference between new ideas and re-worked old ideas,” he wrote.